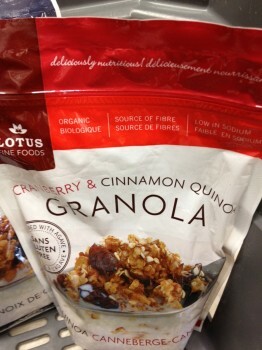 We picked up this bag of organic gluten-free goodness at our favourite neighbourhood grocery store Fiesta Farms. But we had no intention of eating it for breakfast. 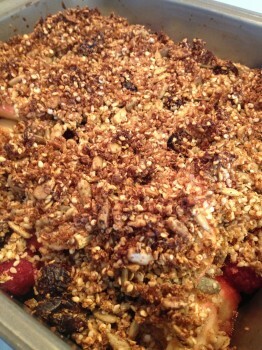 Instead we made a delicious juicy crisp with apples and raspberries! Why didn’t we think of this sooner?! For the recipe, click here. We’re happy to have Lotus Fine Foods as a sponsor of the Gluten Free Garage! 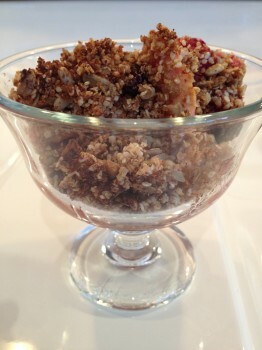 They’ll be exhibiting their nutritious quinoa granola at the Neal Brothers table. Posted in GFG sponsor!, GFG updates, Products we ❤.